I’ll come to Kolkata’s Airbnb rentals soon. Before that let me share how the commoners like you and me are silently ushering in massive changes in the travel industry, courtesy Airbnb. If ever there’s one biggest phenomenon to have changed the way people travel over the world, it’s the advent of Airbnb. Hundreds of thousands of hosts worldwide have welcomed travelers into their homes. And that hosting helps make ends meet. Airbnb visitors stay on average 6.4 nights (compared to 3.9 for hotel guests) and spend $880 at NYC businesses (compared to $690 for average New York visitors). 82% of Airbnb listings in New York are outside of the main tourist area of midtown Manhattan, and the average Airbnb guest spends $740 in the neighborhood where she stays. 87% of Airbnb hosts rent out the home they live in, and the typical host earns $7,530 per year. 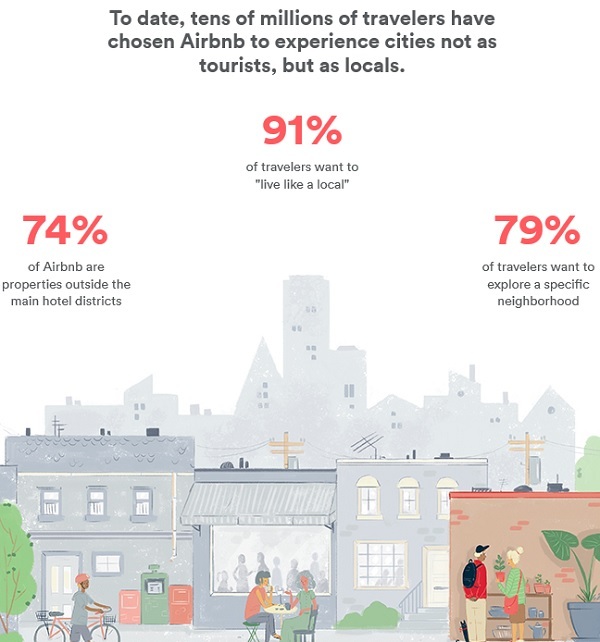 62% of Airbnb hosts say Airbnb helped them stay in their homes. More than 50% of hosts are non-traditional workers (freelancers, part-time, retired, students, etc.). Now look at the image below that gives you an overall idea about the core of Airbnb’s success. If the figures look inspiring, make no mistake, indeed they are. But you have to make a sense out of that. So let me summarize the story behind Airbnb’s typhoon-like emergence on the travel scene that is bursting open the huge insatiable pent-up demand for tourism. Up until recently, i.e. before Airbnb’s popularity, most low earners – the majority of us – won’t ever dream of holidaying abroad. Because in most cases your trip would be managed by the tour companies. And they – with their swanky offices and smooth-talking agents – simply looted you by charging exorbitant money in arrangement with hotels and tour operators in the destination countries. You had no option since you wouldn’t dare book the hotels yourself, and therefore couldn’t address the most important concern in a foreign trip – where to stay? 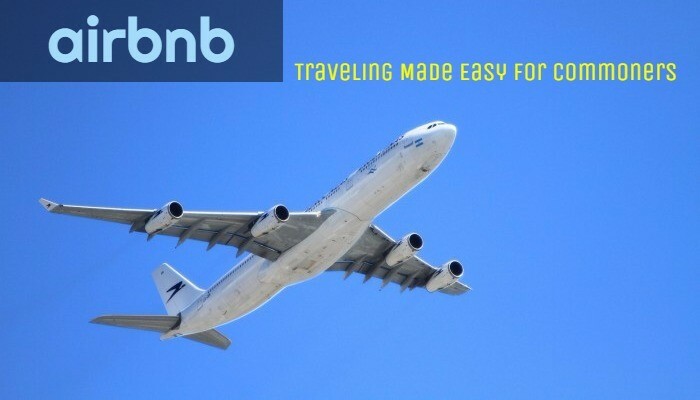 With the help of Airbnb you can directly approach a homeowner in the foreign land, see the photos of the accommodation she is renting out, make inquiries if needed, agree to the terms, and finally book it for the duration of your stay. It’s that simple, takes no more than an hour maybe doing everything online. And then the magic begins. You not only pay less – in fact much, much less – but also have the comfort of knowing that a helpful local person is up there, the homeowner, who in all likelihood, will go out of the way to assist you in your trip. It’s in her interest, you see! She may even give you tips for local sightseeing at a cheap rate. Which again is wonderful because that will drastically cut down your expenses. As a bonus you’ve the rare chance of experiencing how the local people actually live in those places. Well, I know this firsthand when we saved really big in our extraordinary trip to South Africa last December. From different accounts it seems Kolkata has been a bit late to take in to Airbnb. But today as I write this post there are 300+ rentals in Kolkata. Anything beyond 300 is shown by Airbnb as 300+, so it is difficult to figure out the exact number. Be that as it may, Airbnb informs that the average per night rental rate in Kolkata hovers between Rs.2700-2800. Surprisingly, some of the popular ones cost much less even though they have multiple good reviews. Let’s look at some of them, shall we. I have picked some popular ones from the Airbnb listings in Kolkata. Out of the 6 accommodations here only one is above the average listing rate. The rest 5 are well below 2700, and 2 of them are even cheaper, they are below Rs.2000 per night. I’m not going into individual listing, you can do that easily in Airbnb. Remember, if you’re looking for a longer stay, say a month or 2, the rates are even less. There is another point to keep in mind. If you’re 2-3 persons or more, you pay even less per head. This is what happened when 3 of us spent 2 nights in Johannesburg, the top-class capital city of South Africa. We paid Rs.6182 in total for 2N/3D, which comes to just Rs.2060 per person. That means our staying cost was only Rs.687 per person per day. Finally, Is The Good Time to Stay? The partnership comes as part of Airbnb’s plans to focus on developing the Indian travel market. 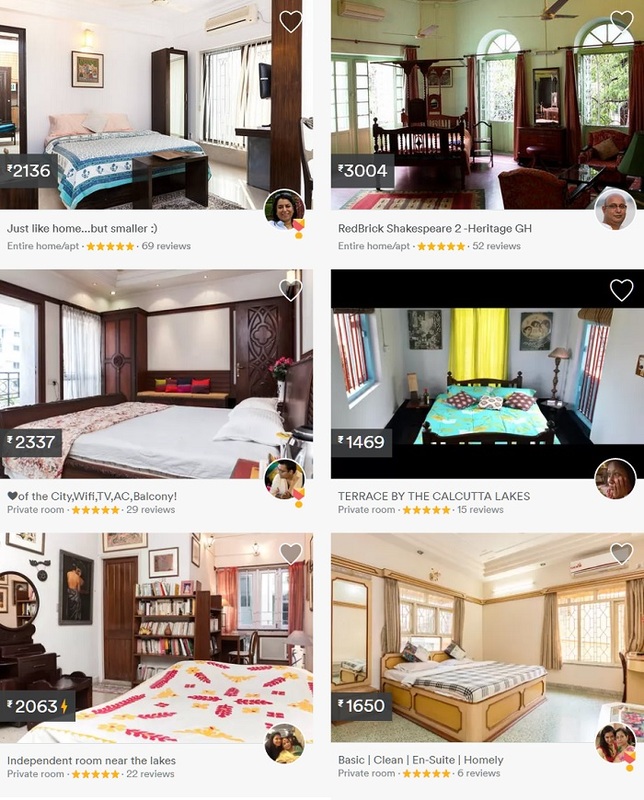 The Times Group will drive awareness of Airbnb accommodations, and help Airbnb create a truly localized presence for India, leveraging (its) vast network of media and operational resources. From all indications Airbnb is a giant company in the making. Experts put the company’s value at $25 billion, which is just S-T-A-G-G-E-R-I-N-G! For us, the commoners, the good news is that we can now afford to see many more places for the same cost that we were earlier forced to shell out for making just one single trip. Not bad that, what do you say? I WAS BADLY SEARCHING FOR A FURNISHED APPARTMENT WITH 2/3 BED ROOMS PARTICULARLY AT BANGUR AVENUE, CALCUTTA 700055. In case you are still looking out , send me an email ananyadas@hotmail.com. I have a fully furnished Airbnb apartment. I saw your reply on https://kolkatamusing.com. I am coming to Kolkata in Jan 2018 around the 12th of the month for 3 weeks and was wondering if I could have some details regarding your apt . I will be there for 3.5 weeks.